Tag made with Patty's beautiful IB Marika February2018 bt scrapkit. You can buy this at CDO HERE. 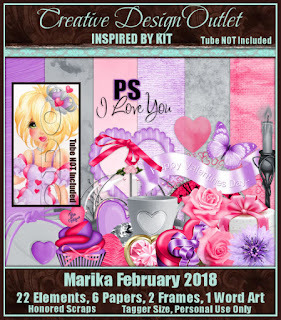 Tube by Marika February 2018 Bonus tube. 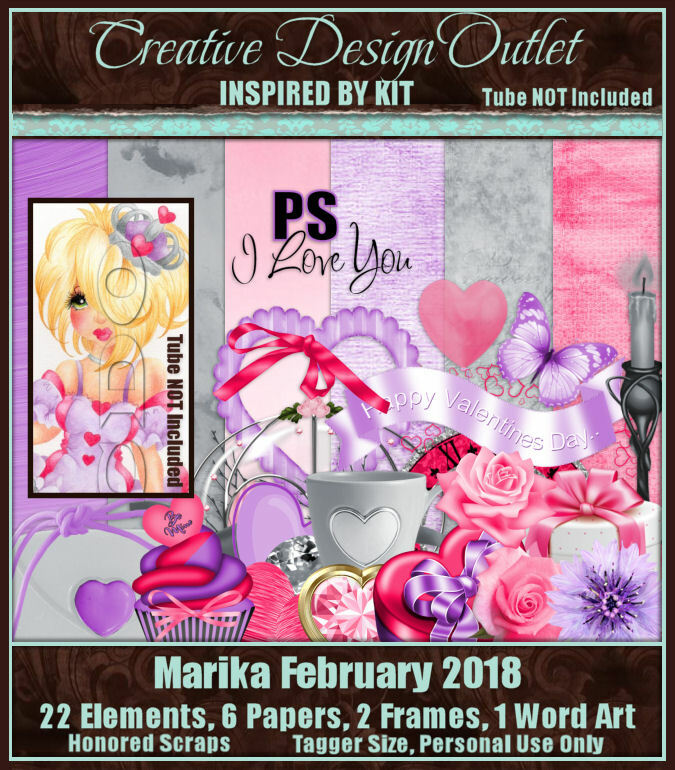 You can buy other beautiful Marika tubes at CDO HERE.